Call or email to book your eye examination with us. Order your contact lenses by email or call us. See here for our Easter opening hours. That’s why we have been providing high standards of eye care and clinical technology for over 60 years to look after your sight. Together with our knowledge and experience we offer you and your family the professional care and an optical service you can trust and continue to depend upon. Thorough eye examinations with the latest technology ensures that your eyes are in good hands. Our experience spans many years and you can be assured of our professional care. With over 1000 frames in stock we are sure to find something that suits you. Our range is constantly updated and our registered Dispensing Opticians are on hand to advise. We can fit an extensive range of contact lenses from soft lenses to gas permeable lenses. We regularly fit complicated prescriptions and offer the latest in contact lens technology. 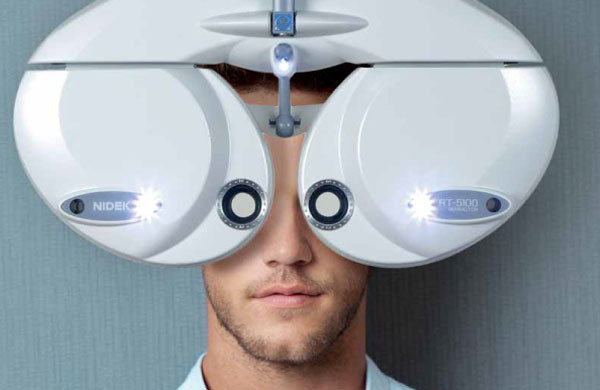 Our on-going investment in the latest technology together with our clinical expertise means we are able to achieve a level of examination that gives very detailed results to help maintain and manage your optimum vision and ocular health.